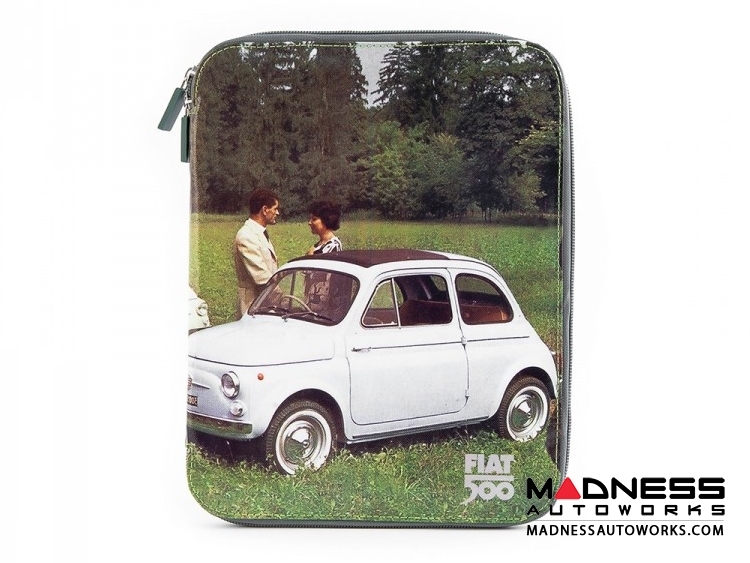 Keep all of your tablet safe with these decorative Classic Fiat 500 Tablet Cases! This listing is for a PVC Tablet Case decorated with historic Fiat 500 images. The case features a group of friends enjoying a picnic with two iconic Fiat 500's as the backdrop. The case features an inner pocket and a zippered closure for keeping your tablet secure.